Want to make an exact copy of your Brilliant Directories website? Purchasing the Clone My Website service will direct our team to promptly clone your existing website and duplicate it to another website that you currently own with Brilliant Directories. This saves you the time of starting a new website from scratch and allows you to copy over all your customized work and data to a new website with ease – perfect for launching similar websites in varying industries or regions. NOTICE: Typical turnaround time to have your website cloned is one business day or less. You must already own an additional Brilliant Directories website that you would like your existing website copied to. The Clone My Website service is a time-saving resource that can be used with any Brilliant Directories website. We especially recommend this service if you create many similar websites with the Brilliant Directories platform. QUESTION 1: Are you a web developer who’s customers often want their websites to look or function like your previously developed websites? 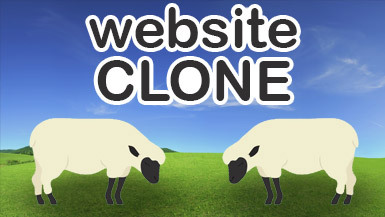 With the Clone My Website service, the Brilliant Directories team will quickly clone one of your existing websites to another one of your websites. All of the content, from images to custom code, will be cloned. QUESTION 2: Are you launching multiple websites that serve the same purpose, but marketed to different industries or locations? You can establish your desired design and functionality of your flagship site and then have it cloned to your other websites. All you will need to do is update the industry or location data on these other websites to fit their intended market. IMPORTANT: This service requires you to have an additional, unused website plan with Brilliant Directories. 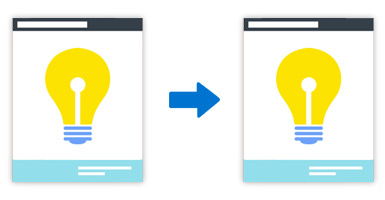 One of your websites can then be cloned to your additional, unused website plan. For Brilliant Directories website plans and pricing please click HERE. For additional information please call +1 (800) 771-9332. ADD-ONS INFO: Premium add-ons will not be cloned to your new website unless they have been purchased for your new website as well. Example: If you wish to have your Easy Coupon Codes cloned from your old site to your new site, you must repurchase the Easy Coupon Codes add-on for the new website. This applies to all add-ons as well as the VIP Add-Ons Club.